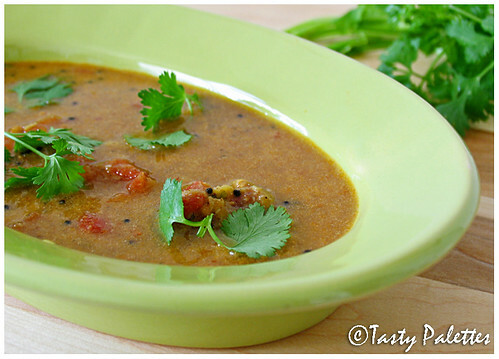 This is actually the only rasam I like :) I've never made it myself, but your recipe is one I'm going to bookmark now. lovely pics! i was also planning on making rasam.. I can almost the smell the wonderful aroma that is how tasty it looks! Saying thanks to all RCI entries quickly today,still can't focus for too long on PC or anything,but will be back soon,getting better and better everyday.Hugs. Ahhhaa..You smell very homely nowadays,Sugi..
suganya.. that is a nice touch.. i mean the coconut milk. it looks really delicious, i want to eat with with alu-podimas yum! Rasam with coconut milk sound very nice and creamy. Any rasam is tempting enough for me..... and with coconut milk added to it, I have to make it. :) The pic is fab!! Ahha!! what a tasty rasam! My meal is incomplete with out rasam and curd! Nice entry for the event! Mysore rasam is new to me... it's almost like arachu vitta sambar.So there is no rasam /sambar powder added as such? I should give this a shot when I get a chance. Looks yumm Suganya! We make ours a little differently, i would love to try u're version! This is one of my fav rasams. It used to be our Saturday menu at home. I blogged about it a few months back. Will try it with the coconut milk twist this time. wow...looks so comforting. 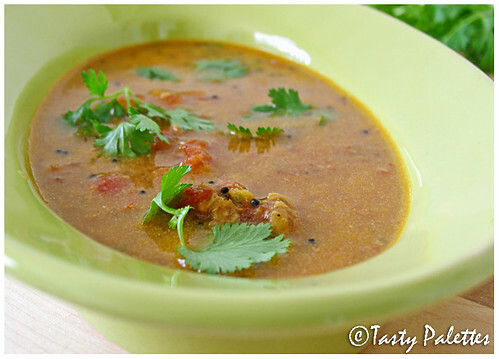 I have never had the recipe for mysore rasam Will try it out soon. Thanks for sharing. we usually have these kind of Dals at home, some thing liquidy is necessary with a dry dish for us :-) It looks yummy too, so will try it out sometime. Our Dal is different from the way you prepared it. Suganya, is rasam a soup or is it a thin curry that you serve with starch either dipped in it or ladled on it? It looks dreamy. That palest of spring green bowls sets it off well. Mysore rasam looks delicious. Adding coconut milk to rasam is a new info.Thanks for the recipe. iam going to try this new recipe. Suganya, I would love to drink the whole bowl of your rasam sitting in my backyard. Would be perfect for a cold day like today. Lovely picture as always buddy. Adding Coconut milk to rasam is very unusual. Will try it. 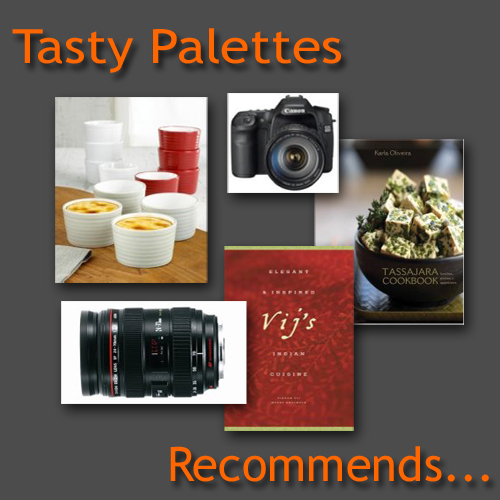 I was searching for a mysore rasam recipe and saw this. It is your photo and I thought I'ld let you know. Dear Reva, thanks a ton for letting me know. It is disheartening to see this happening over and over again. I have written to the website. Hope they take the picture down. Thank you once again.